Most endurance athletes only think about their gut when they get a stitch or have issues on race day. The truth is that the microbes that live in the human gut have proven to be widely influential on human health. While in grad school for microbiology, I began to get curious on the role of microbes on endurance performance. This article will cover gut microbes and potential ways they can affect performance, and how we can cultivate good microbes. Work on the human microbiome has already shown us that the bacteria that live in and on our bodies outnumber our human cells 10:1. The microbial population in our gut contains millions of bacteria, composed of hundreds of species, and dozens of different groups that provide us with different digestive functions. Diseases such as inflammatory bowel syndrome, obesity, allergies, autoimmune, and cardiovascular disease can all be linked to the gut microbiome. In addition to those ailments, the microbes in our gut can affect things such as our mood and desire for certain types of food. Another large detriment to poor gut health is a reduced ability to access fat as fuel. In an “obese” gut, microbes signal to store fat rather than burn it, which is counter to the needs of many endurance athletes who want to access their fat for energy use. Another critical point here is that it doesn’t take much for your gut to begin to change from healthy to poor. Studies have shown that a diet high in sugar and fat, a so-called ‘western’ diet, can start to change the gut microbes to an “obese” gut community within 24 hours. The main cause of a diseased state in the gut appears to be low diversity of organisms. If your diet is too heavily weighted towards simple sugars and starches, which are absorbed more quickly, you rob your gut of the good microbes that develop from slower digesting foods such as fruits and vegetables. Whole fruits are better than juice, because they contain both soluble and insoluble fiber. So, just like in the rainforest, the more species you have, the more stable your ecosystem will be. I like to think of my gut as a garden, and the encourage growth of the right species. 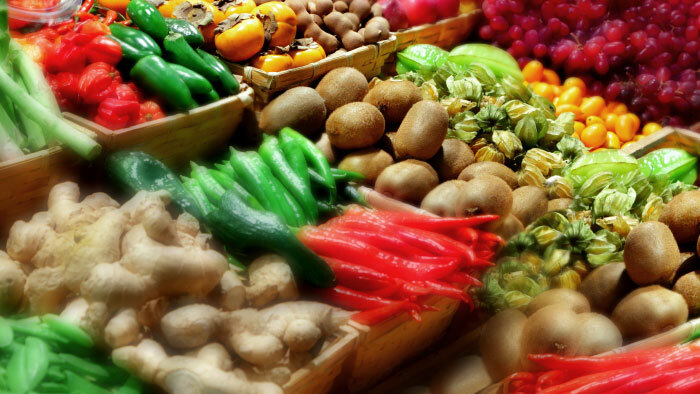 Look for new fruits and vegetables at your local market and try to shop seasonally. A healthy gut community enhances the way we absorb nutrients and vitamins, and converts some of the food we eat into more valuable byproducts. For example, take the recent beet juice craze for performance enhancement. Nitrate is converted to nitrite by the microbes in your mouth and gut for use in the nitric oxide (NO) system, a cardiovascular signaling molecule. A healthy gut is critical to getting the most benefit of a healthy diet. Gut microbes also prime the immune system and keep it running well. Eating lots of plant polysaccharides will shift the balance back (from the changes caused by eating the western diet). Eating a diverse number of plant based foods, i.e. vegetables, is a key to achieving good gut health. In addition, probiotics can help you get the right balance. Fermented foods such as yogurt, kombucha, sauerkraut, and kimchi increase GI microbe diversity. They also contain valuable enzymes and vitamins that are not obtainable by other means. Antibiotics and an excess of sugary sports drinks should be avoided by endurance athletes. Have you ever had a gut cramps from eating too many bloks? While sports and recovery drinks are valuable during and after hard training and racing sessions, your energy stores can usually be replenished with a nice dinner and a good nights sleep. I recommend my athletes only use sports and recovery drinks for their hardest workouts and races. Likewise, antibiotics don’t just knock down the bad bacteria, they also kill the good ones, and it can take up to two years for the gut to fully recover. Avoid taking antibiotics when you can. Endurance athletes would be wise to pay greater attention to their gut health on a daily basis rather than waiting for a bad experience. The steps to a healthy gut are relatively simple, eat a diverse number of fruits and vegetables, try to consume probiotics and limit sugar intake and antibiotics. These simple steps will help your entire body in multiple ways, helping you be your best.